I remember a few years back when I first tried cleansing powder from Dermalogica and Tosowoong, I really enjoyed the concept of a powder wash. But both of these were a little grainy, so I felt they were a bit harsh to use on a daily basis and I didn’t want to further thin my skin with daily exfoliants. But recently, the hype of cleansing powder came back again and I really want to bring a good cleansing powder to The Sesame Shop. At the same time, SRB came to my radar. After checking the ingredients list and a few reviews online, I decided to bring it to my shop. 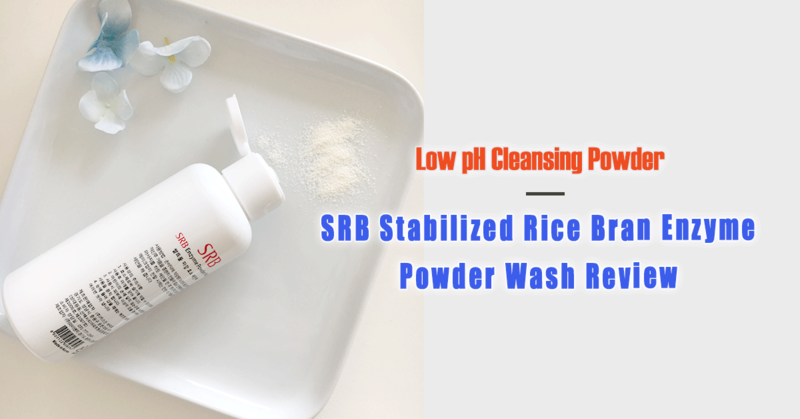 SRB combines three great concepts of cleansing: low pH, rice bran and powder. Low pH cleansing is at the centre of skincare trends at the moment. Many brands start to come out with cleansers that are low pH formulated and people start to care about the pH of the cleansers they are using. 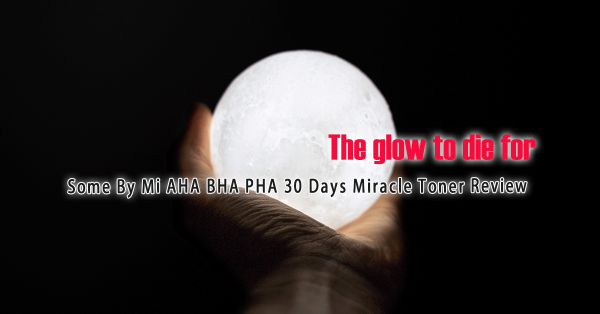 Low pH cleansers claim that they can maintain the skin’s natural pH level of 5.5, which have the benefits of a stronger skin barrier, better ability to absorb and retain moisture, and resist bacteria growth and environmental damage. After using several “low pH” cleansers, I have to say, pH is not everything that you should look for in a cleanser. In fact, the effect of a low pH cleanser is difficult to detect, because if you are using other products that helps with the hydration and the strength of your skin barrier, then it’s hard to tell which is working. Rice is an ingredient that I’ve been loving for years. Rice products are usually very gentle, and their ability to hydrate and brighten is superb. It’s truly a treasure in the Asian culture. Powder cleansing is an interesting concept. I like the fact that you have to transform it into a foam first before putting it onto the face. Foam is the most gentle medium of cleansing, gentler than your palm. Powder is also easy to carry around and doesn’t require as much preservative. SRB Stabilized Rice Bran Enzyme Powder Wash comes in a plain plastic bottle, with a simple flip cap. The bottle is sturdy, lightweight and travel-friendly. However, it also gives me this “it’s the cheapest packaging available” kind of feeling. If you’re someone who pays for packaging, you’ll be disappointed. It’s too basic to even talk about. That said, apart from being bland and boring, the powder form is extremely convenient to take around. I can take it on the plane and not worry about the liquid limit, and take the full bottle in my bag without noticing any added weight. SRB Stabilized Rice Bran Enzyme Powder Wash has a relatively short ingredients list, containing 15 ingredients in total. The main ingredient is Corn Starch, which is a binding ingredient that gives its volume and a natural surfactant. 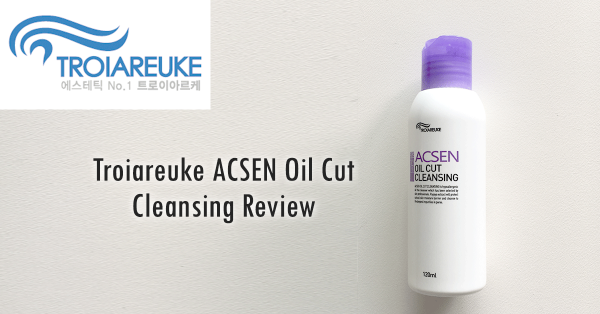 The next two down the list are surfactants and foaming agents used in this cleanser. Both are plant-derived and gentle on the skin. Then it’s rice bran, which is the advertised functional ingredient that hydrates, soothes and brightens the skin. Then down the list are ingredients that add to the antioxidant, soothing and hydrating effects of this product. Papain is an enzyme naturally occurring in papaya, which has the effect of gentle exfoliation. In general, all of the ingredients work together to soothe, hydrate, brighten and gently exfoliate. I’m also glad to see that Fragrance is no longer an ingredient. SRB Stabilized Rice Bran Enzyme Powder Wash is a grainy powder that’s about as fine as caster sugar. Its particle size is a lot smaller than the other ones I’ve used and if you pinch the power between the fingers, it’ll easily crush to a flour-like powder. 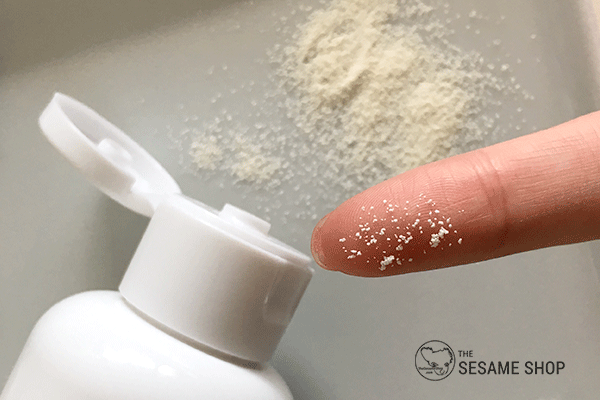 When added with water and rubbed between the palms, the powder quickly melts and turns into large bubbles. When using a foaming net, it’ll turn into medium volume and loose bubbles. Overall, the bubble is a lot looser than your usual foaming wash and quickly deflates. When used as an exfoliator directly on the skin, the powder melts with water after 2-3 circular massages and turns into a creamy bubble wash. It has a raw rice scent. The application of this product is pretty easy. I normally pour some onto a wet foaming net and start rubbing and generating bubbles. I still use it with my Clarisonic, which is not a problem, even though the bubbles are not as thick and dense. I find it slightly drying when I use it without bubbling up first. But my skin is quite sensitive to cleansers and I find most cleansers drying. The product rinses clean without any slippery residue. It leaves the skin soft and moist. Clean, soft and moist skin. My skin feels balanced, hydrated and soothed after using the wash. It’s not tight, not oily or slippery, or squeaky clean. It’s in a perfect state and feels extremely comfortable. My skin is brighter, but I’ve been using other products so I cannot say if it is the cleanser’s effect. However, looking at the ingredients, I trust it will bring brightening effects. With the effect of low pH and a stronger skin barrier, again, it’s something that’s difficult to tell as I always try my best to keep my skin hydrated and balanced. However, it does feel more comfortable and moist compared with even my favourite Sulwhasoo Herbal Soap. 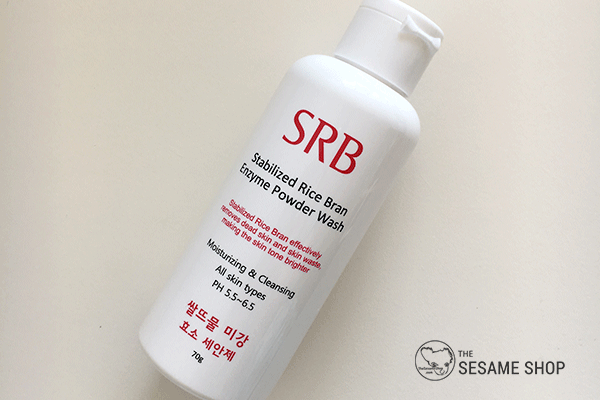 The SRB Stabilized Rice Bran Enzyme Powder Wash retails for 25,000 Won for 70g of product, which equates to about $30 AUD. According to its recommended usage of 1g per use, it would last over 2 months if used once a day. It’s about mid-range, but this price is slightly higher than my expectation to be honest, for a plastic bottled cheap looking product like this. However, after comparing it with other similar products in the market, whether Korean or Western, I would still go back to it. It has a much cleaner and gentler ingredients list and is still less than 1/2 of what Dermalogica asks for. This could be my second HG cleanser. I love the powder form and how it only contains two very gentle surfactants. It cleanses, hydrates, soothes and brightens, that’s probably everything I could ever ask from a cleanser. The price point is a bit higher than expected but not overly expensive. I recommend to anyone who’s after a good cleanser that’s gentle and free of nasties. 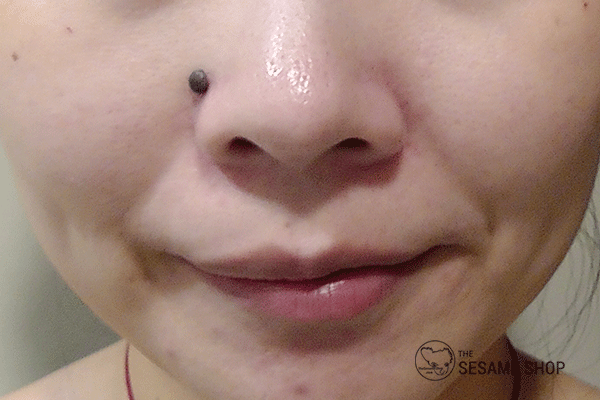 This entry was posted in Skincare and tagged brighten, cleanser, rice, SRB.